The Senior Management Team collectively has more than 45 years of experience Managing and Owning Multi-Family Properties, including within the areas of Acquisitions, Financings, Divestitures, Property Management, Repositioning/Turnarounds, Development and Real Estate Law. Rob is a Co-Founder and a Managing Member of Premier. Rob has more than 30 years of experience owning, managing and developing multi-family apartment buildings and condominium associations. Rob is also the owner/founder of Premier Property Solutions LLC which currently manages more than 4000 units. Rob was recently appointed by the Mayor of Boston, Marty Walsh, to be a Member on the Back Bay Architectural Commission, and he is Chairman of the Board for the Huntington Avenue Chapter of the YMCA, as well as Vice President of the Newbury Street League. 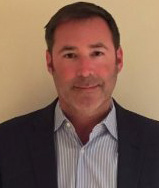 In addition to earning a degree in Business Administration from Boston University, Rob is a licensed General Contractor, a Certified Manager of Community Associations, an Association Management Specialist, and a Real Estate Broker and Developer. Rob has written numerous property management articles which have appeared in several New England Newspapers and Real Estate Journals, and he has also appeared as a speaker at numerous real estate conferences. Russ is a Co-Founder and a Managing Member of Premier. He’s an experienced manager and owner of multi-family garden-style apartment complexes, with a strong record of repositioning properties, increasing real estate values and investor returns. He has extensive knowledge in the areas of physical plant management and landlord tenant issues. Russell is an attorney with 12 years of experience who is licensed to practice in Massachusetts, Rhode Island and New York. Russell has represented clients on various real estate and corporate matters, including real estate acquisitions, financings and landlord tenant issues. Prior to joining Premier, Russell was a partner at the law firm of Reiner Brauunstein, LLP. 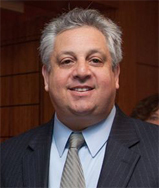 He is on the Board of Directors of Families First Parenting Programs (a Massachusetts based non-profit) and the Huntington Avenue Chapter of the YMCA, and he is a Member of the Board of Trustees of Temple Emanuel in Newton MA.